Properties in Waikawa Bay average 4.5 out of 5 stars. 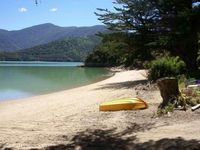 Waterfront Kiwi Batch in Waikawa Bay, Breathtaking views you won't forget. Property 11: Waterfront Kiwi Batch in Waikawa Bay, Breathtaking views you won't forget. 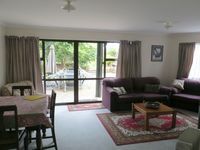 Property 13: THE KABBAGETREE - Waikawa Bay - Your home away !! Property 27: Fantail's Haven - Fantastic private holiday home! Property 49: Stunning views set within a private bush setting with own beach across the road.